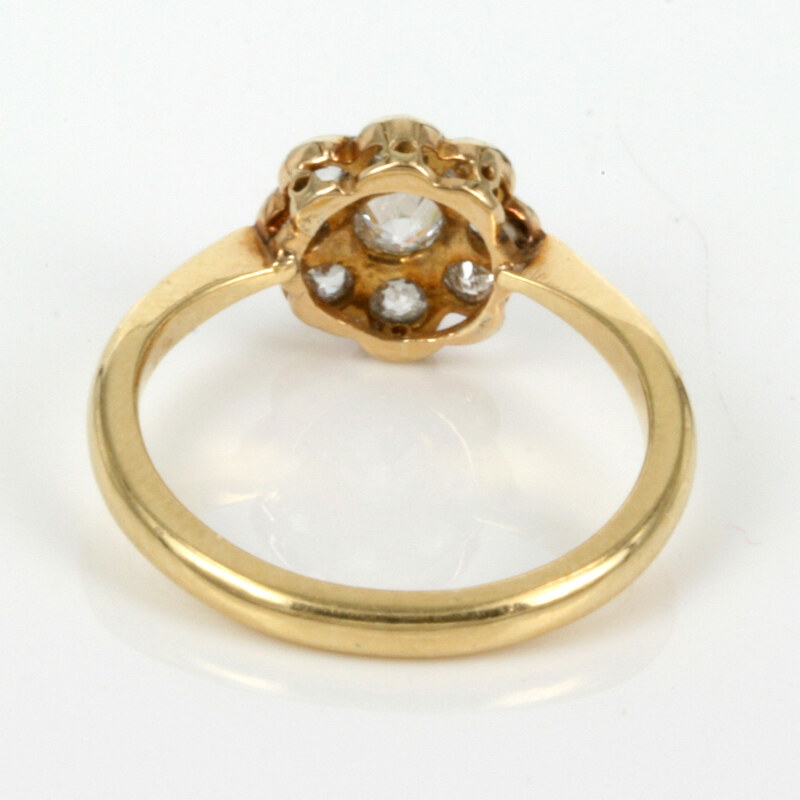 Product code: ES2002 Categories: Sold Items, Sold Rings. 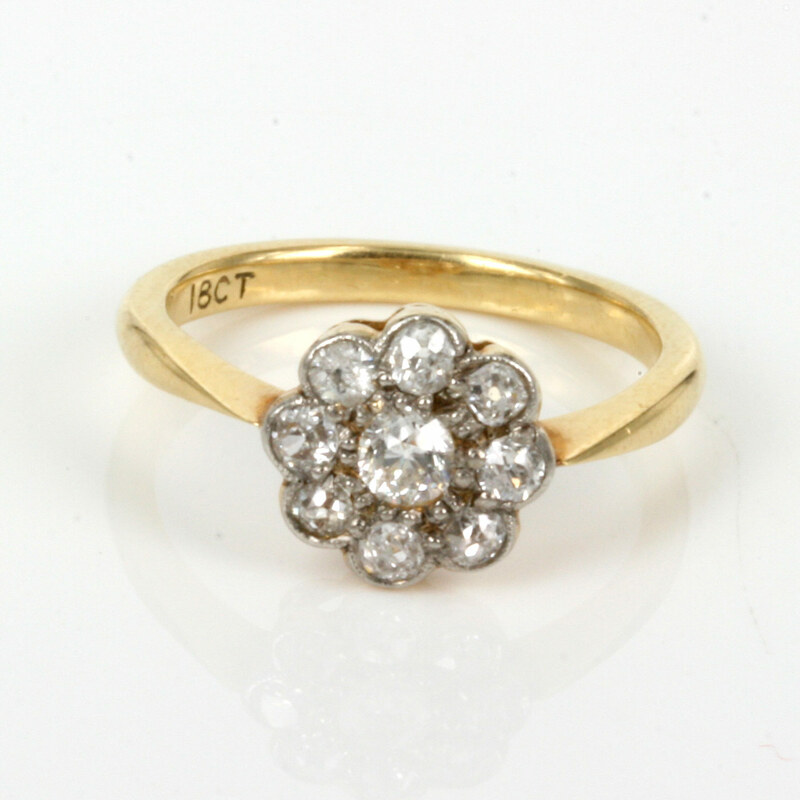 An antique diamond cluster or “daisy” ring as they are sometimes referred to are always so popular and this one is just divine. Made in the early 1900’s, this ring is hand made in 18ct yellow and white gold and set with one central diamond surrounded by 8 diamonds. The total diamond weight is 0.58 carats and are G/H in colour and Vs/Si in clarity. Measuring 9.7mm across this is a perfect example of an antique diamond daisy engagement ring and will always be loved and cherished.